Barry Industries from Massachusetts is the leading manufacturer of resistive RF components for applications in communications, defence and healthcare. Barry's products are synonymous for highest quality standards which are guaranteed by the vertical integration of all processes from development through all production steps until functional tests (RF up to 60GHz, pulsed power and high voltage) and High-Rel screening for defence and space applications. Attenuators, Resistors, Terminations on Aluminium nitride (AlN) and Beryllium oxide (BeO). Download here the Barry catalogue of standard resistive components. 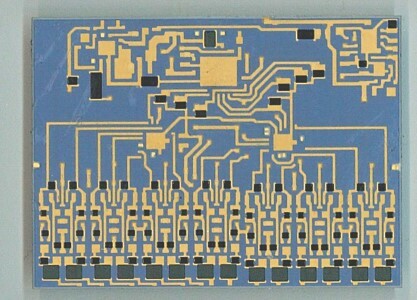 single-sided for wire bonding or face (film) side down with solder or epoxy mount. 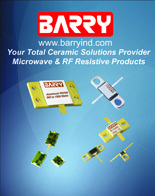 Barry produces RF terminations as SMD, leaded and with flange. Barry has developped products with special copper tungsten (CuW) flange for highest reliability in pulsed amplifiers and for large temperature variations. This Application Note explains the advantages. 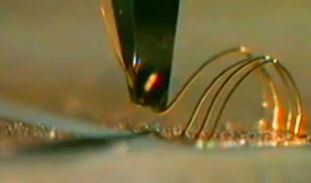 The special requirements for resistors in pulsed applications are explained in this paper. Barry designs and produces customer specific ceramic products with and without resistive components. 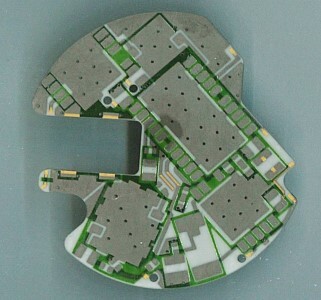 Here are the Design Guidelines for ceramic components. 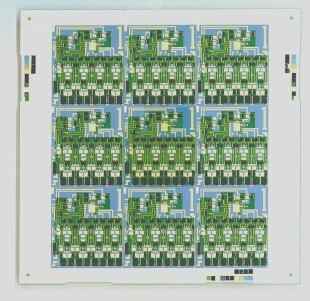 Barry produces precise thick film substratees for applications in RF (e.g. 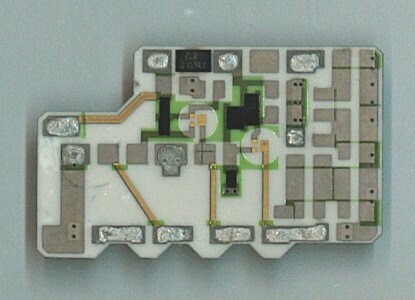 5G microwave circuits), for defence and space according to customer drawings. Some examples are shown here.